Considering the prevalence of high blood pressure (one in three adults), many are wondering what the effects of cannabis are on this common condition. 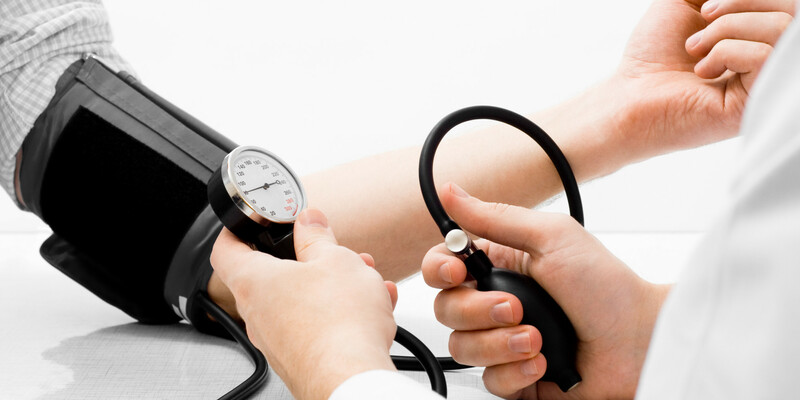 Hypertension is a medical condition characterized by prolonged high blood pressure levels. These high blood pressure levels mean that the force exerted by the blood against the blood vessel walls is high, thus making the heart work harder to pump blood throughout the body. Ongoing stress, diet, kidney disease and weight are all factors that contribute to prehypertension and hypertension. Considering the prevalence of high blood pressure (one in three adults), many are wondering what the effects of cannabis are on this common condition. Smoking of any kind is discouraged by medical experts when it comes to managing blood pressure levels. Of course, cigarettes and tobacco account for most often cautioned against, but studies conducted on cannabis smoking show that blood pressure rises a bit, shortly after consumption but then drops to lower levels (hypotension) as the high sets in. While the National Institute of Health has reported that, “THC inhalation evokes a greater and longer-lasting decrease of arterial blood pressure in hypertensive as compared to normotensive individuals,” A Harvard Medical School study concluded that smoking marijuana increased the risk of heart attack by five times within the first hour of smoking. However, the risk is comparative with that of sexual activity which also increases the risk of heart attacks and is also much less likely that with cocaine or alcohol use. Also, greater heart attack risk was only linked by determining which activities were performed within the year leading up to their heart attack. Out of 3,880 men and women, only 124 subjects had smoked within that year, and the risks were also compounded by other contributing factors such as poor diet and being overweight. Despite the drug’s extreme popularity, reports of cannabis-related stroke and myocardial infarction are so rare as to still be reportable. Pharmacological manipulation of the endocannabinoid system may offer novel therapeutic approaches in hypertension and ischemic heart disease. It’s important to note that the majority of studies on marijuana use and hypertension have focused on THC rather than CBD. For some, THC worsens episodes of anxiety and increases heart rate which may have some peripheral effects on blood pressure levels. CBD however, appears to reduce systolic blood pressure in subjects both at rest and while stressed. At the end of the day, a low-sodium diet, an active lifestyle and stress management and responsible cannabis use might be the keys to keeping blood pressure under control.